Rose Mortmain (Rose Byrne) complains because her family is poor. She’s hungry and sad, she can barely stand living in their castle. Her wishes include a roast-beef dinner and a make-up item (a Tangee lipstick). 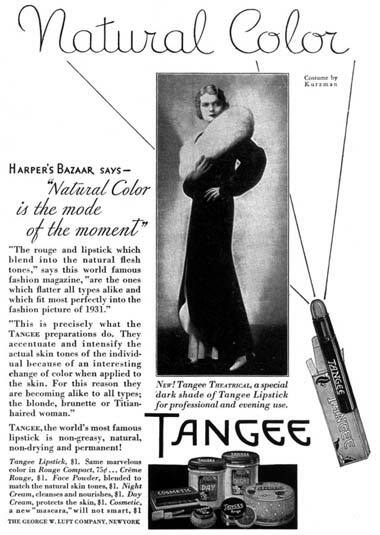 Rose is surely referring to Tangee’s “changeable” lipstick, which was first sold in 1922. It was the best-selling lipstick in the United States between the two world wars: it looked orange in the tube, but it turned natural-looking when applied. Much to my surprise, this lipstick is still on the market.